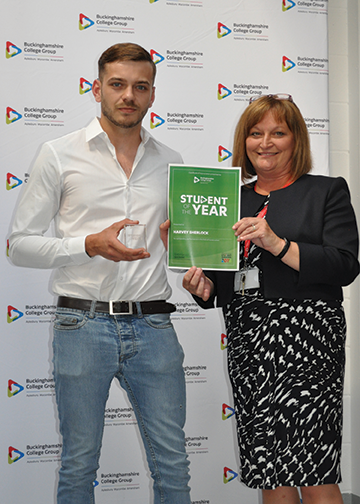 The annual Student Awards event for Buckinghamshire College Group took place across all three campuses. The awards are a wonderful opportunity for students to receive the deserved recognition for their efforts. Tutors nominate students from each curriculum area and only one is chosen as the Student of the Year. Harvey Sherlock received the Student of the Year 2018 trophy. He was nominated for his outstanding work throughout the course and for achieving mostly 90% in exams! Harvey is a very hard worker and is never fazed by what is coming next. During his time at college Harvey has absorbed knowledge in great detail in both practical and theory work. Harvey is a highly competent plumber and was also chosen to enter the Apprentice of the Year competition in February 2018, where he finished a highly commendable runner-up. Harvey started at Heppelthwaite the Red Van Plumbers as an apprentice and is now employed. He will receive on-going training, support and has excellent career opportunities. He’ll be able to continue his education and work towards other qualifications. Heppelthwaite the Red Van Plumbers is an award winning company, which has partnered local colleges supporting top level students for over 20 years. 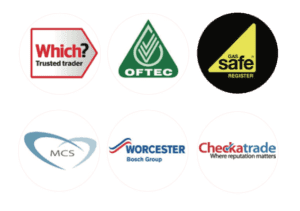 This provides an excellent opportunity for young talent to gain practical experience by working alongside senior plumbers, who are highly skilled and experienced. “We are pleased that Harvey’s hardwork and enthusiasm has been recoginised at such a high level. His dedication, skills, desire to further his career and friendly personality were just some of the reasons why he was given full time employment with us. Harvey has an exciting career ahead of him and we look forward to helping him achieve his goals. We are honoured to have him join our excellent Red Van Plumber team. Gary Evans, Heppelthwaite Managing Director.